Step aside Calling Birds, we’ve got Steve Gutzler! Steve is a dynamic, highly sought-after speaker who has delivered thousands of presentations on leadership, emotional intelligence, and personal transformation. 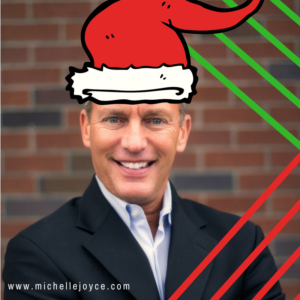 He has an exceptional ability to communicate clear leadership and business solutions with humor, clarity, and insight. STEVE: Definitely nice… I never once weighed in on the Presidential race and I bit my lip several times! STEVE: I take hats, gloves, and socks to downtown Seattle for our homeless. STEVE: Give quality gifts to your MVPs (most valuable and profitable) clients and customers. Give them something they will remember!